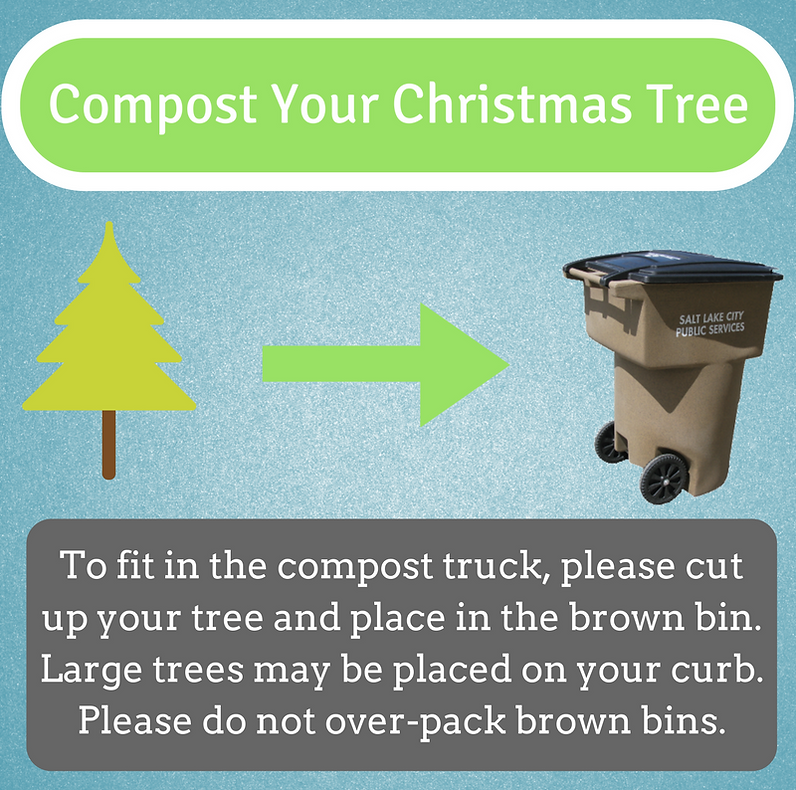 Residents are encouraged to cut up their Christmas trees (into 4-foot pieces or smaller) and put them in the brown curbside compost can for collection on their regular weekly waste collection day. Please do not to overfill the brown container. Ornaments and lights must be removed. Flocked trees are not accepted. Make sure to use your brown can before the wintertime suspension. Residents who cannot cut their trees for placement in the brown cans may put trees curbside for collection. We will collect trees left at the curb January 7 – 25, 2019. The City’s curbside compost can is available to divert compostable yard waste, including leaves and branches, from the city’s landfill. If you have a large yard project, you can request extra containers on a first-come basis. Containers can be requested anytime during the year except when compost collection is temporarily suspended. *Prior to 2018, extra green waste cans were only available in the fall. They were often called “extra leaf cans,” “extra leaf bins,” or “leaves only bins.” As part of the change to Call 2 Haul, Salt Lake City is pleased to offer extra compost containers year-round. They will be collected on your regular weekly garbage day. Container availability is limited based on inventory. To request, please fill out this online form or call 801-535-6999. Requests will not be received through email. Please do not rake (or blow) your leaves, branches, or dirt into the street or gutter. Debris left in the streets and gutters is bad for the stormwater system and leads to deterioration of water quality, street flooding, and icing problems. Salt Lake City residents have the opportunity to dispose of bulky items at their curb through the Call 2 Haul program. Salt Lake City is proud to provide extra assistance for residents who require help moving their can to the curb and back. To register for the free program, please call (801) 535-6999.